While e-receipts and retail loyalty card programs have been around for years, few have made the move to mobile. Last week, Walmart rolled out a new twist on the e-receipt, giving customers the option to save them to their mobile applications. Rather than email receipts which are forgotten or deleted, mobile e-receipts are treated as pieces of content that can be interacted with and used to personalize in-store and mobile experiences. 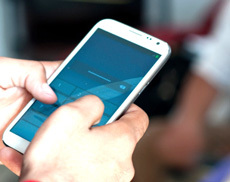 At checkout, a customer provides a mobile phone number into the debit card reader, selects e-receipt and opts in to receive a free text message after the transaction is processed. If the customer has an account, the phone number will sync the transaction details to his or her account. Receipts can also be scanned via QR code. 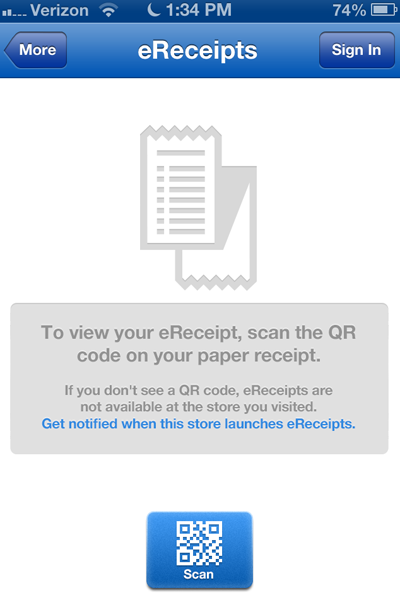 Customers can search e-receipts stored within the app, add items from e-receipts to a new shopping list (connected with store availability and current pricing), receive targeted offers, and claim returns without having to hang onto a receipt. The app also uses geo-tools for product location in-store. Walmart’s senior VP of mobile and digital strategy, Wendy Bergh, describes this as a platform that will produce a firehose of transactional data, which connected to the Walmart app can be used to personalize shopping lists and target offers. Time will tell whether Walmart (or other retailers) will connect e-receipts with in-store content and experiences, such as iBeacon — but Walmart believes the experiment is worth the investment. “We want be the leader at the intersection of digital and physical. It is a critical piece of Walmart’s strategy to lead in retail and e-receipts is one of the technologies that we believe is going to help accelerate us on that front” says Bergh.